The main usp of the site was it was extensively localised to make computer knowledge all the more accessible. The content was designed in five regional languages : tamil, marathi, hindi, bengali and kannada. To ease consumer understanding about computers and the need for computers. India is the youngest start-up nation in the world. Start-ups created 80,000 jobs in 2015 alone according to a Nasscom study. The Prime Minister’s ‘Start Up India, Stand Up India’ action plan to boost entrepreneurship aims to make job creators and not mere job seekers. Meanwhile. Lenovo was undertaking a category building exercise by investing in developing tier 3, tier 4 markets and by focusing on the first time PC buying audience. Technology and in particular computer literacy can boost entrepreneurship and job creation in the country. 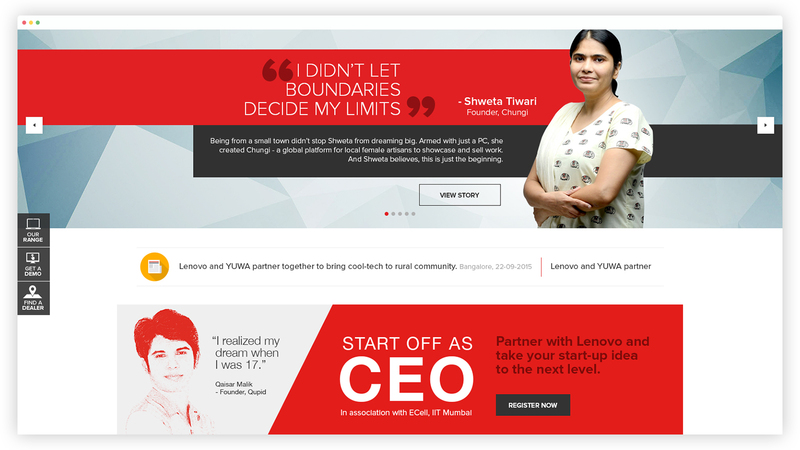 Lenovo’s vision is to create a digitally empowered society where PCs help just about anyone achieve their dreams. 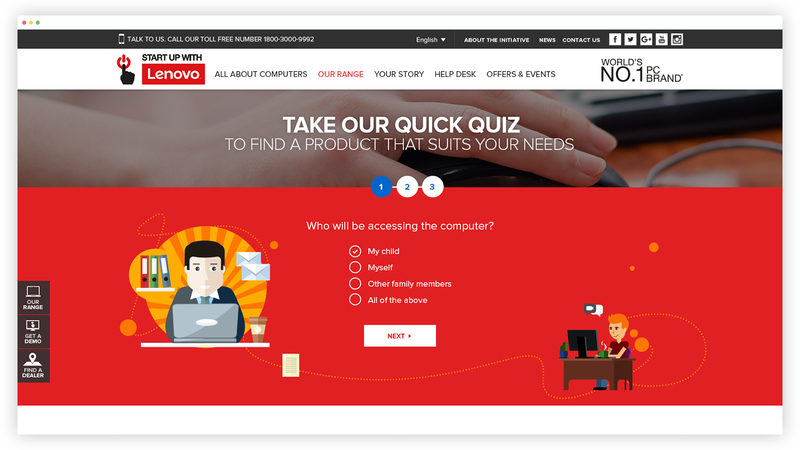 'Start up with Lenovo' aims to educate people on the importance and benefits of PCs as well as offer the financial means to purchase one. 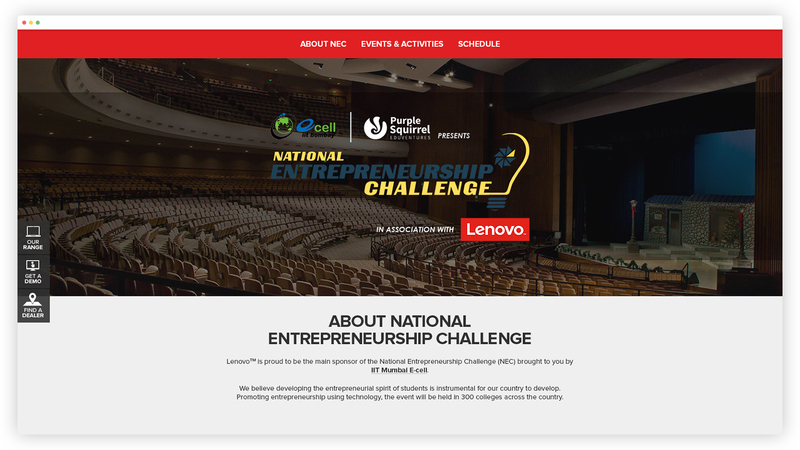 In line with the ‘Start up India, Stand up India’ campaign, Lenovo is also engaging with home-grown start-up heroes via outreach and activation programmes, showcasing their inspiring entrepreneurial spirit. 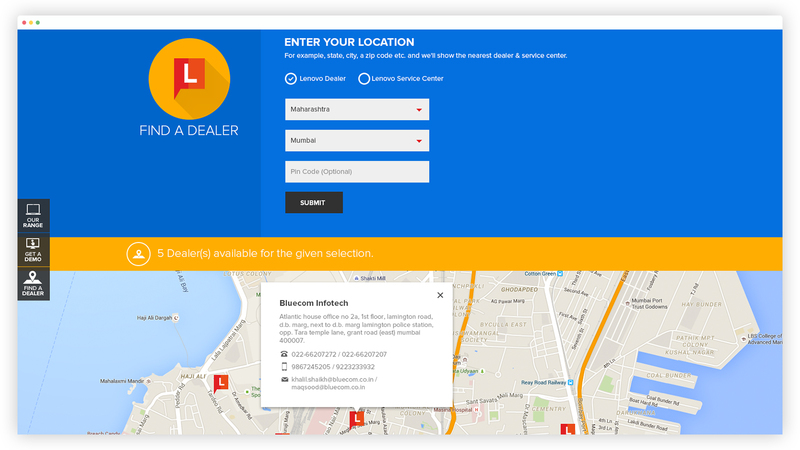 Our objective was to create a destination for first-time PC buyers and enable the purchase journey. The key focus being to drive innovation / entrepreneurship by enabling PC usage as well as seamlessly integrating initiatives that drive thought leadership for Lenovo in the PC Category. A responsive website, the main USP of the site was it was extensively localised to make computer knowledge all the more accessible. 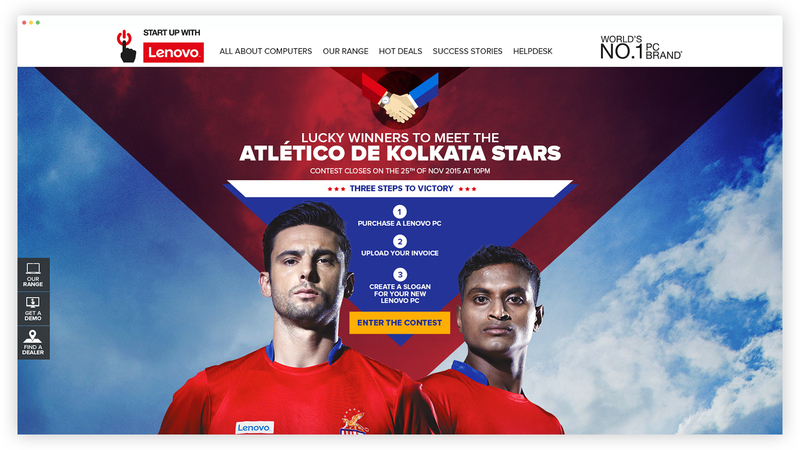 The content was designed in five regional languages – Tamil, Marathi, Hindi, Bengali and Kannada. 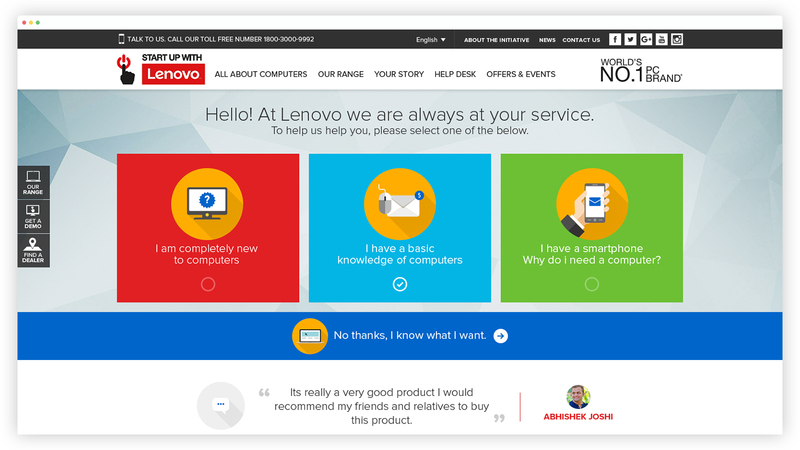 We analysed the consumer’s decision-making journey in the given market and decided to create an engaging and easy to understand website that would enable prospective customers to find the Lenovo that best suits their needs. The user journey was mapped basis their life milestones and the content and UI was accordingly structured basis the path the user chose. This ensured the right content reached the right audience basis their comfort/knowledge of computers. The skeptic - I have a smart phone, why do I need a computer? A QUICK QUIZ threw up relevant products while those completely new to computers were taken to a section WHY COMPUTERS that showed them how computers could benefit their lifestyle/work upon selection - I WORK, I AM A STUDENT, I AM AT HOME. Other key features including a HELP DESK (with DIY videos), a comparision between different computing tools from mobiles to laptops and tablets (I HAVE A SMARTPHONE) and inspiring START UP STORIES with the option for users to share their’s as well. The website was launched in August 2015 and we received over 50,000 unique visits within 2 months. Average time spent being 4 minutes signifies users like to consume the website content. Huge and active participation in contests- 1000+ entries in each contest held on the website. Increase in footfalls and online buying trends for Lenovo pcs and laptops from tier-3 and 4 markets.